We invite you to attend our 4th Annual Believe in the Dream Gala. 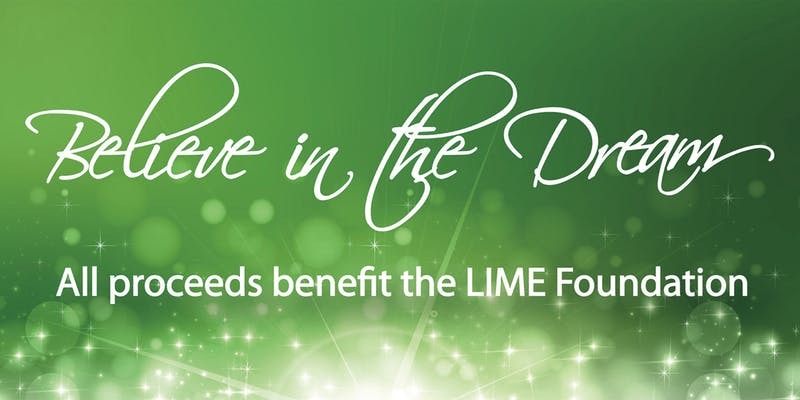 Our gala raises funds for The LIME Foundation and our amazing programs that are changing lives. 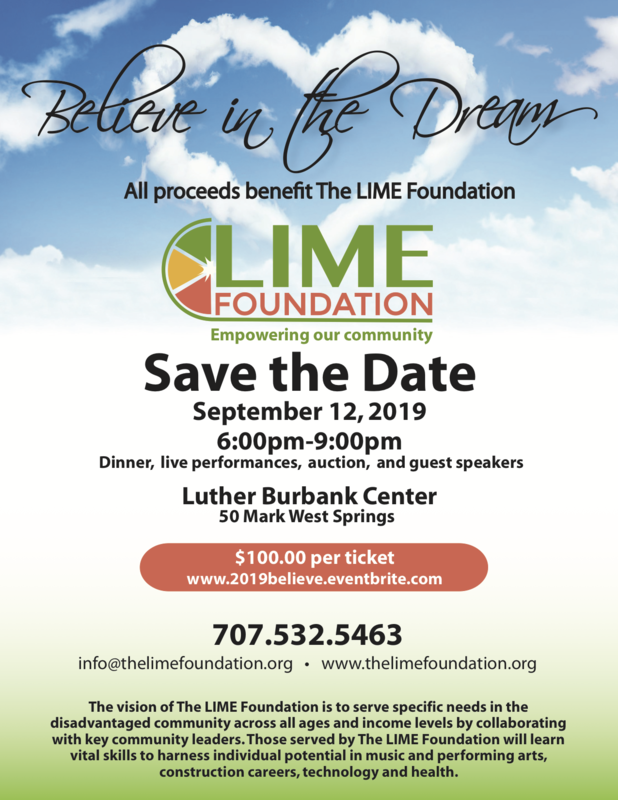 This year’s gala takes place on September 12, 2019 from 6:00-9:00 p.m. at the Luther Burbank Center for the Arts. If you missed the last three annual galas, you for sure will not want to miss this one. Back again to MC is the fabulous Malia Anderson, owner of Style by Malia, Inc. There will be performances and program showcases. Tickets include dinner and drink tickets. This will also be a great opportunity to meet and hear from some of our NextGen Trades Academy students. Come support them in their journey to begin their careers in construction and help rebuild Sonoma County.